Join Juan Tea, the all-natural and health-conscious tea company, and its co-founder Mrs. Tan for the rare opportunity to gain hands-on knowledge in the art of tea brewing. 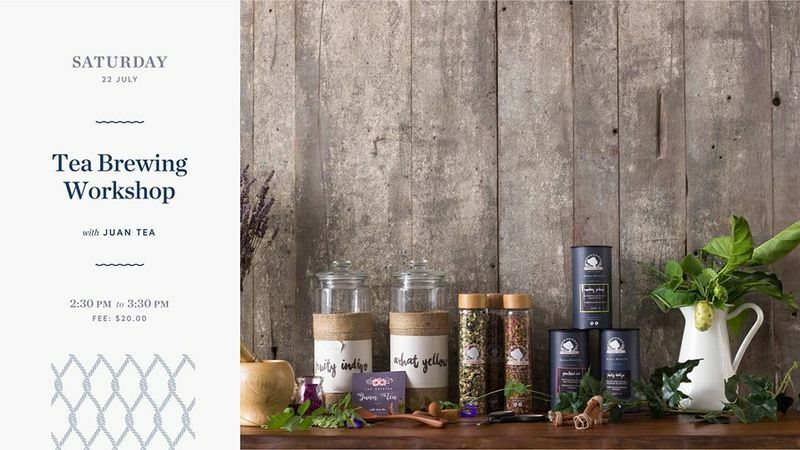 Equipped with a passion for herbal tea brewing and a comprehensive understanding of its health benefits, Mrs. Tan will help you navigate through the ins-and-outs of making the perfect cup of tea with a selection of fresh plants and herbs. In addition, you’ll be treated to an exclusive Cat & the Fiddle tea-infused cheesecake made in collaboration with Juan Tea, a perfect pairing with your freshly brewed tea. Seats are limited and entry is on a registration basis. The workshop includes food, beverages and a goodie bag. A mother of three and a full time home maker, Madame Juan’s top priority is going the extra mile for her family’s wellbeing. Brought up in a deeply mixed culture and a passion for healthy living, Juan’s Tea collection introduces a series of traditional herbal teas and modern flavours steeped in health benefits.